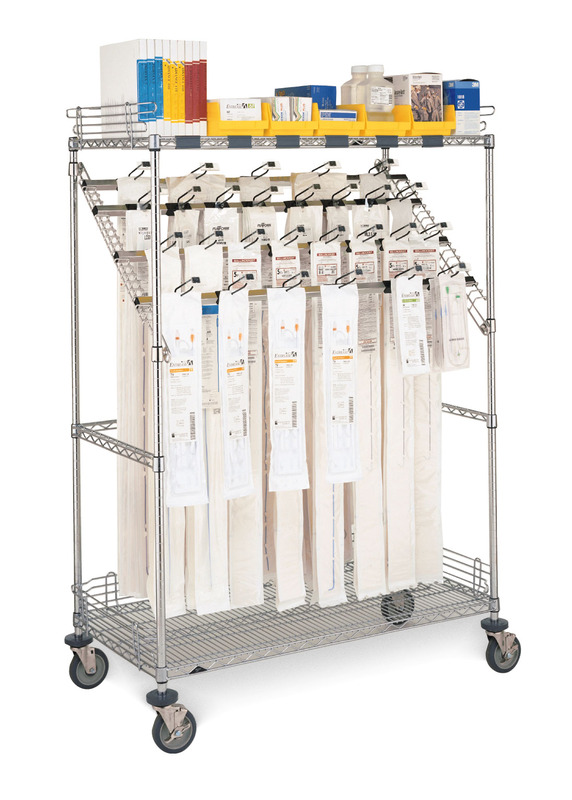 Catheter Cart used to hold and safely transport catheters. Used in hospital/lab application. 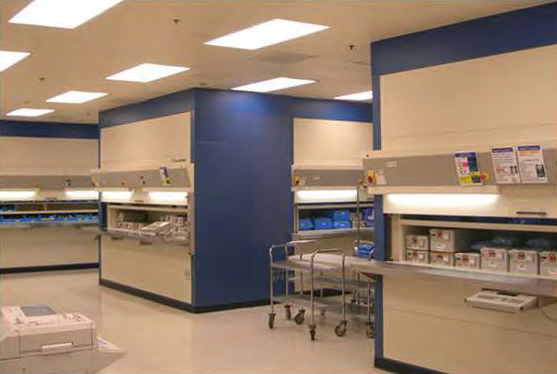 Nationwide Shelving and Automated Storage Solutions provides storage solutions for all Hospital Storage Requirements. 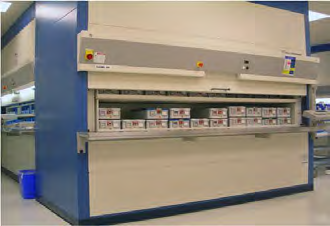 There are traditional and new age solutions for Hospital Storage Solutions. We can review the possible solutions with you and determine which is the best value for your Department and application. 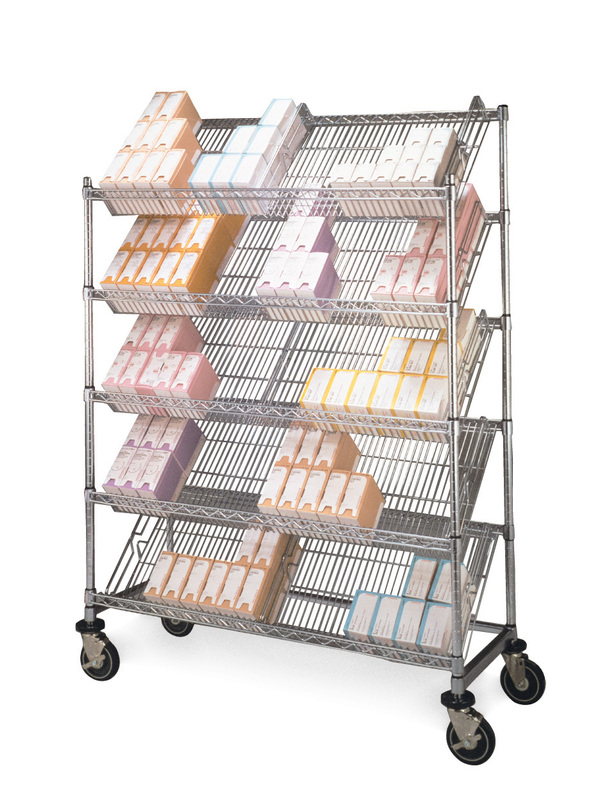 Traditionally we have provided Mobile Wire Carts from vendors such as Metro and still provide this solution when a client finds it to be the best value. 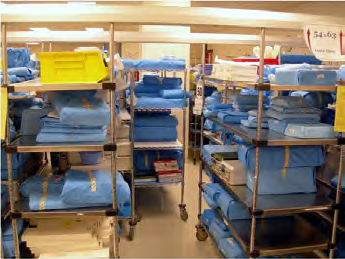 Recently there has been a trend toward Automated Storage in the Catheter Department. To find literature for each application of Hospital Storage just click the button on the right side of the page. What is Catheter Responsible for? Operating Room and all departments in the hospital. 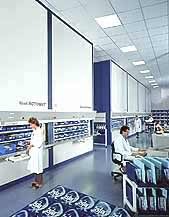 For Hospitals and Medical Facilities,Pharmaceutical Drug Manufacturers and Drug Developers, and many more. 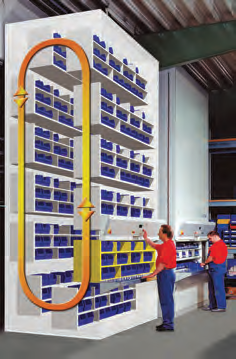 without tools and can be adjusted vertically on 11/2"
configured with corrugated polymer inner panels. SXCATHSLD can be added to the SXCATH. alternate left to right from slot to slot.